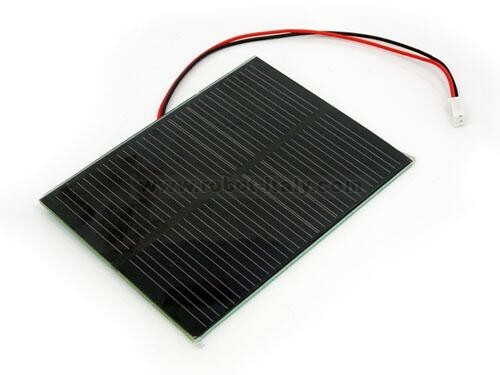 1W solar panel. Strong and compact. This solar panel is made of single-crystal material that performs high solar energy transformation efficiency at 17%. It has a fine resin surface and sturdy back suitable for outdoor environments. 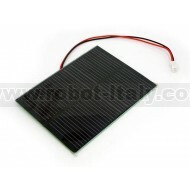 A 2mm JST connecter is attached to the penal, which makes it perfect to team up with most of our can-use-solar-power-supply boards. Check out this high quality, high output, fully enclosed solar panel with a nice solid aluminum/plastic frame.